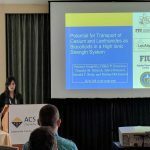 DOE Fellows Silvina Di Pietro and Frances Zengotita, DOE EM MSIPP Intern Antony Arun Maria, and Dr. Hilary Emerson attended the American Chemical Society National Meeting last week where they gave fantastic presentations on their research conducted at the Applied Research Center at Florida International University in support of the Department of Energy Office of Environmental Management’s mission to complete the safe cleanup of environmental legacy resulting from five decades of nuclear weapons development and government-sponsored nuclear energy research! 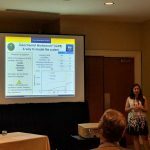 PhD candidate and DOE Fellow Silvina Di Pietro (Chemistry) presented her dissertation research quantifying the effects of injection of ammonia gas on the local mineralogy in the subsurface. The Hanford site is currently considering this technology for immobilization of uranium that was previously releases to the vadose zone during the Manhattan Project. The Hanford site and Pacific Northwest National Laboratory have recently finished pilot scale test injections to determine its feasibility at the large scale. DOE Fellow Frances Zengotita (B.S. 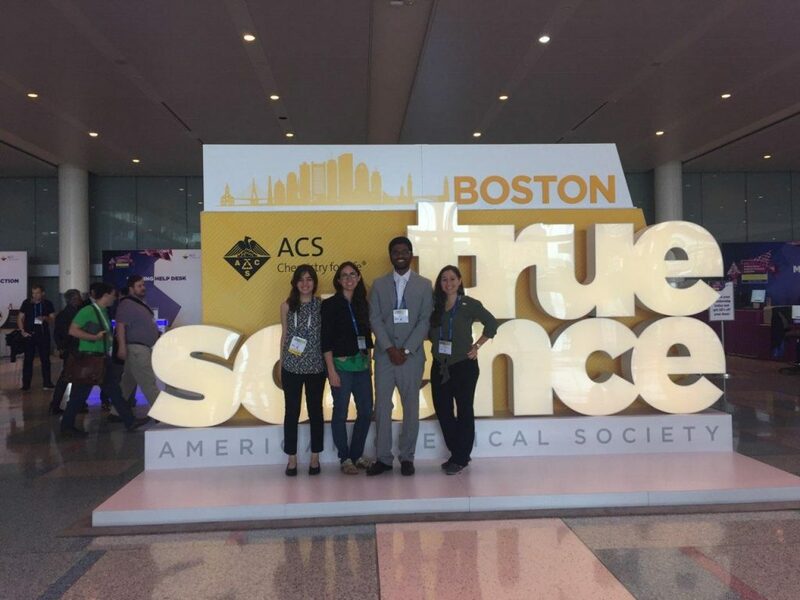 Chemistry and English) presented two summers of research with Los Alamos National Laboratory investigating the potential for transport of radionuclides as bio-colloids in the Waste Isolation Pilot Plant (WIPP) environment. Dr. Emerson also presented complementary research investigating the impact of ligands on sorption of actinides in the WIPP environment. These studies were conducted in collaboration with Drs. Don Reed and Juliet Swanson at Los Alamos National Laboratory. DOE EM MSIPP Intern Antony Arun Maria (B.S. 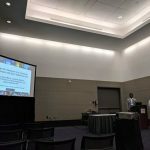 Biomedical Engineering) presented results investigating the potential for removal of chromium from a low radioactivity waste stream at the Hanford site with zero valent iron. 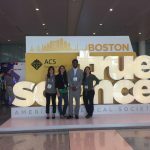 His work is part of a larger project funded by the DOE EM MSIPP program to determine the feasibility for treatment technetium, chromium, and other reducible co-contaminants in this waste stream. Dr. Emerson presented an overview of the results for this project as well.